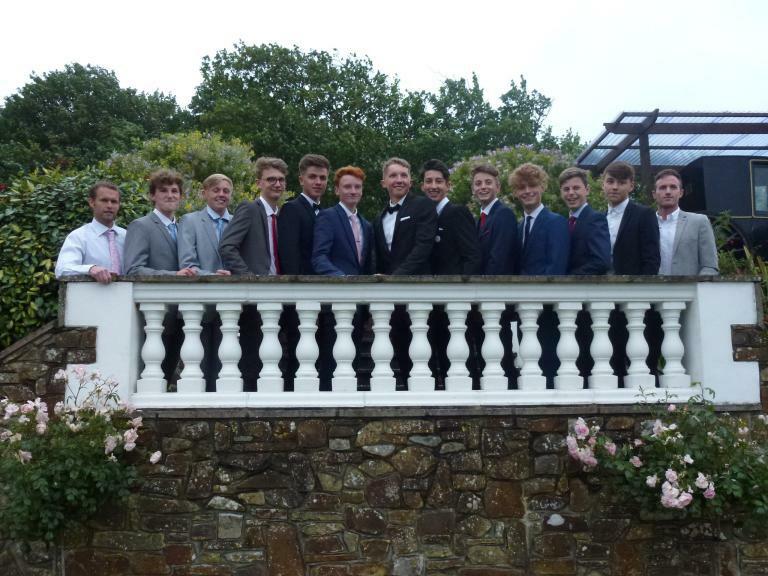 Although the sky was overcast and windy, it didn’t dampen the spirits of the 125 students attending the annual Year 11 Prom, which was held at The Falcon, Bude. Arrivals started at 5.40pm and finished at 7.20pm. The impromptu traffic lights at Stratton were a worry, but the majority kept to their scheduled arrival times. Transport arrivals varied, and included a jet ski on a trailer, tractors, a Landrover, an old fashioned fire engine, a stretch limo and a horse and carriage. Various awards were given during the evening – best hair of the night, best tie, best make-up and best mode of transport – large, medium and small. Prom Queen was Lucy Poole and Prom King was Max McDonald. The two tiered prom cake, which was cut by the King and Queen, was made by Heidi Horn – thank you so much, it was amazing! I would like to say a big thank you to the following people: the Prom Committee for making the evening such a success, the Falcon for letting us use their premises, Karen’s covers, Launceston, for decorating the chairs, Leanne Alton for the balloon arch and to Harley-Jo for taking such beautiful photos of the night.